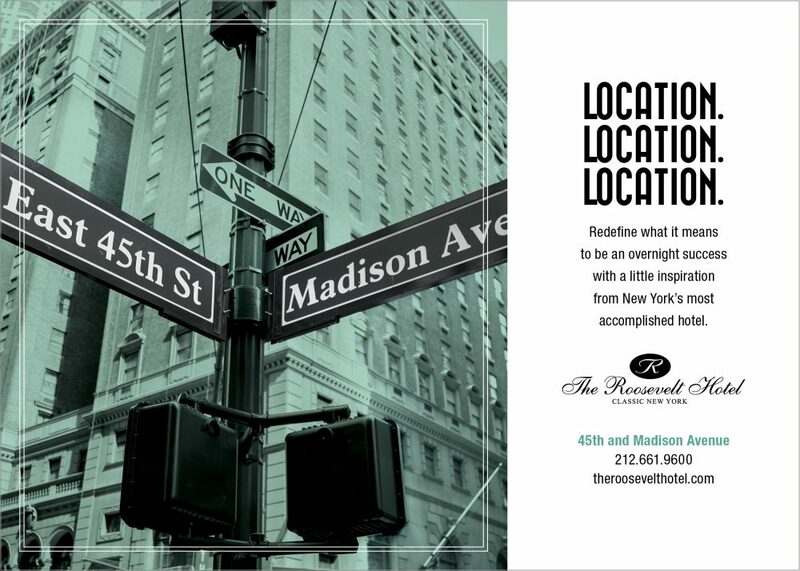 The Roosevelt Hotel in Midtown enjoys a lush history as the Grand Dame of Madison Avenue, but with over 1,000 hotels in Manhattan how do you differentiate your brand? 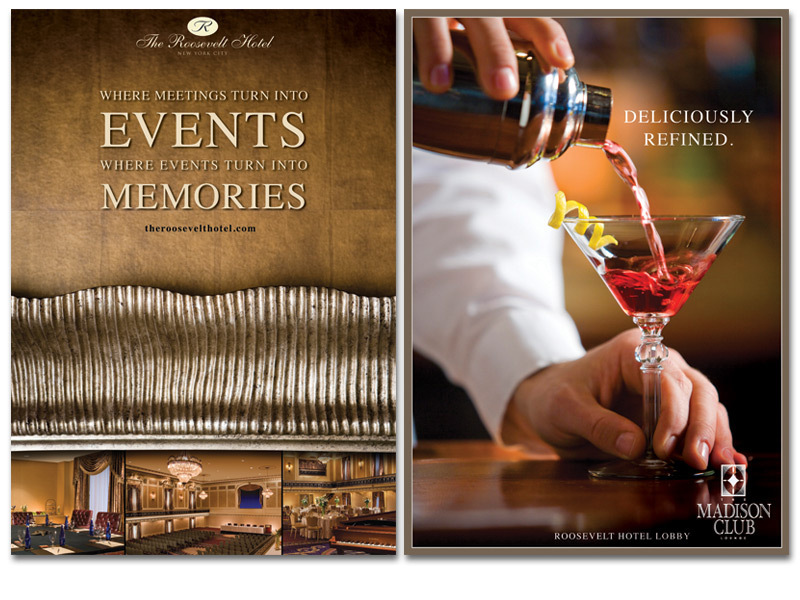 The challenge for us was to showcase the hotel’s premiere classic New York experience. 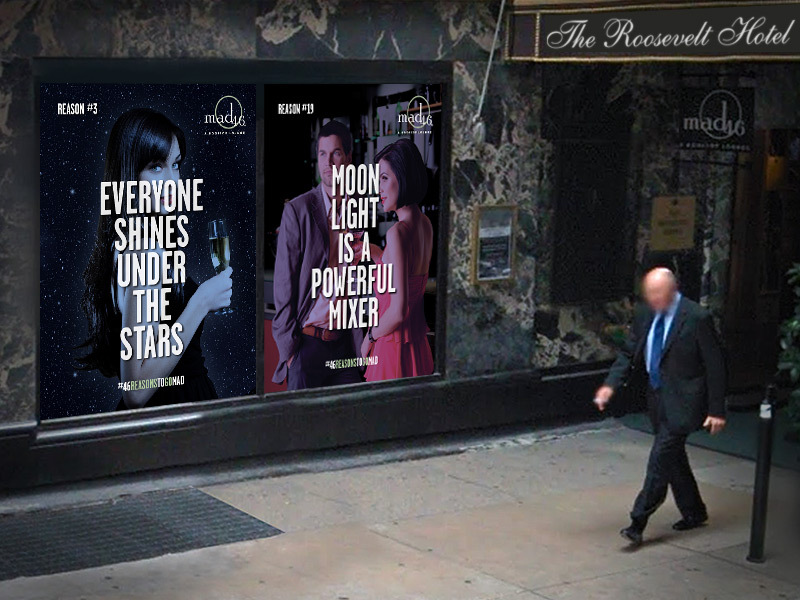 We created dynamic advertising and collateral for the hotel itself and seasonal campaigns for their rooftop bar, Mad46, and Roosevelt’s newest hotspot, VanderBar. 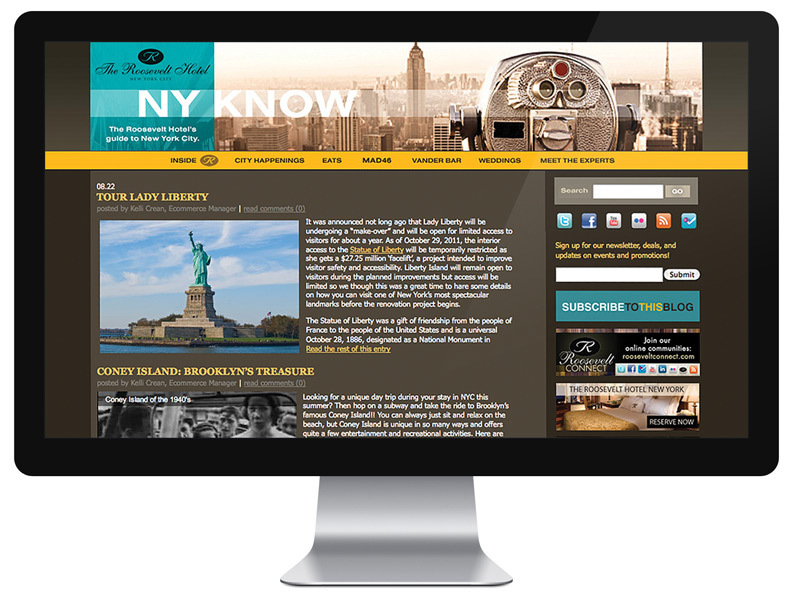 In order to bring the guest experience online we developed a blog called “The NY Know,” where travelers could go to find out everything that was going on in the city. 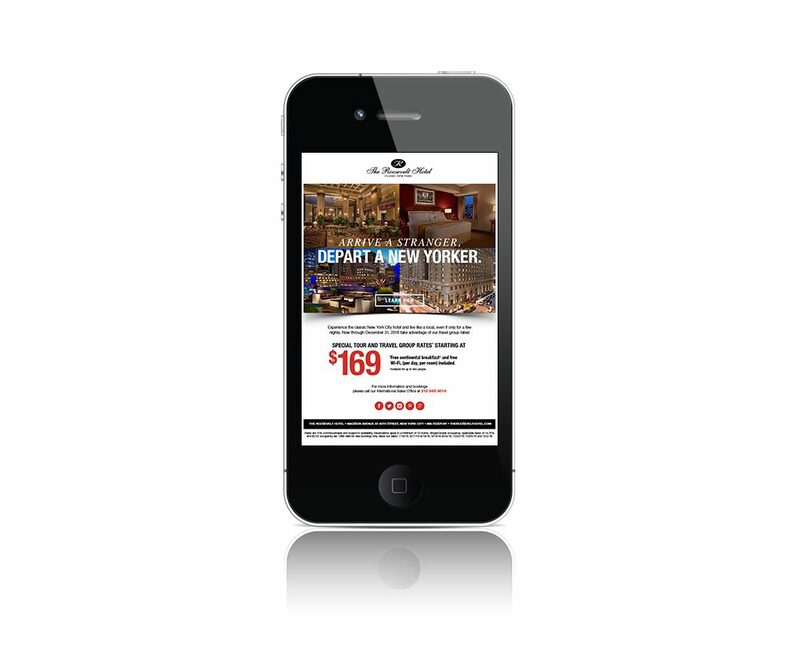 The mini-site includes interactive polls and games, a mobile app and serves as the hub for different social campaigns. 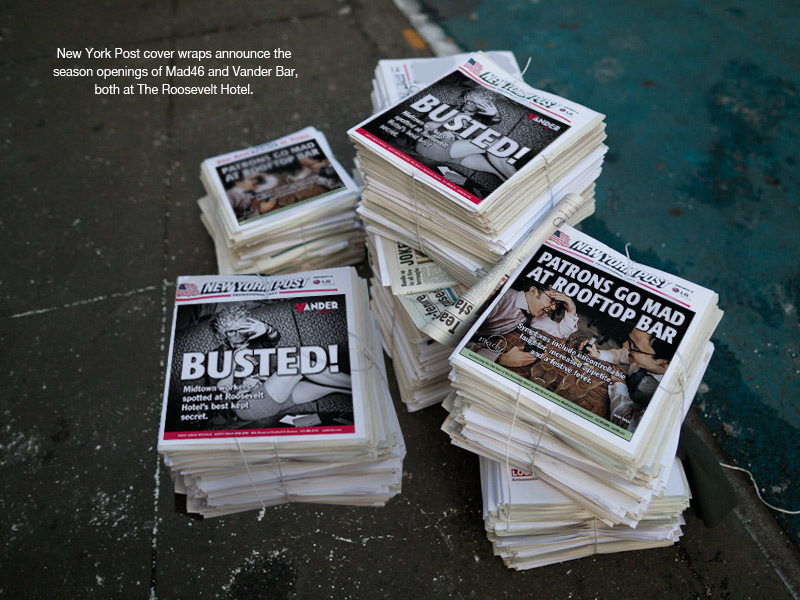 But this effort is not just about fun and games. 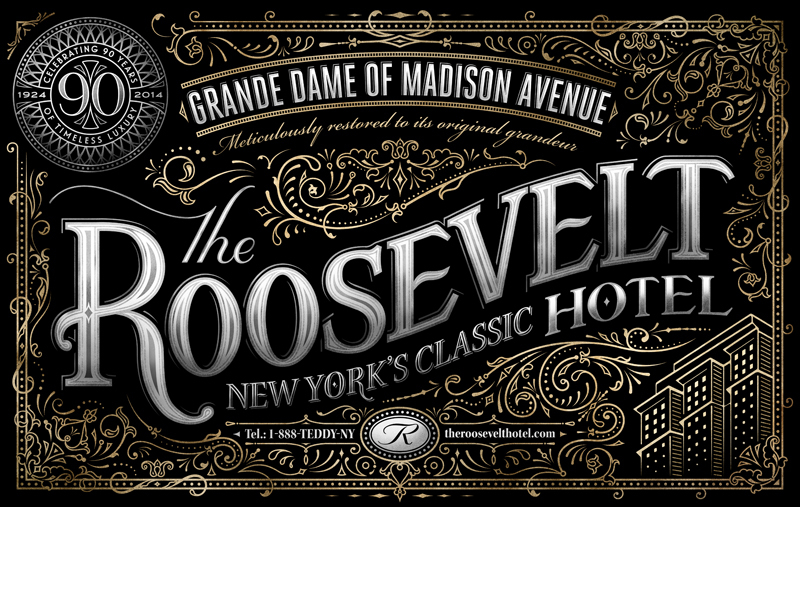 By positioning The Roosevelt Hotel as the cornerstone of a NYC social community, our social marketing program has generated annualized incremental revenue of $3 million.